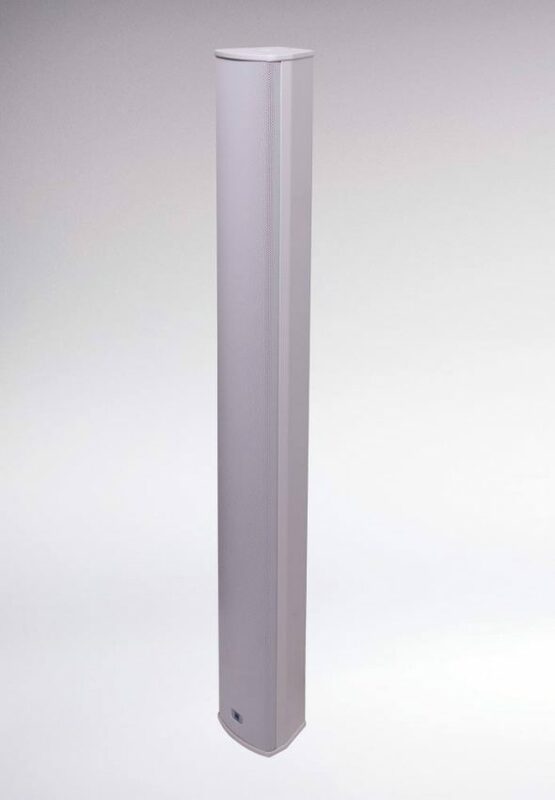 Redback column speakers are available in two sizes, depending on the output level required, and offer IP66 weather resistance, stainless steel fasteners and moulded ABS brackets for superb long term performance indoors or out. Column speakers are designed with multiple drivers arranged vertically. This design is chosen to reduce vertical sound spread toward the floor and ceiling. This effectively reduces lost output level to unwanted reflections and diffusion of sound waves. This makes column speakers the ideal choice for large spaces where reverberation can cause acoustic problems if traditional loudspeakers we’re installed. Such installations like gymnasiums, lecture halls, public transport facilities, airports etc where high levels of speech intelligibility are paramount. These column speakers offer unrivalled directional audio performance, making them ideally suited to sound reinforcement in auditoriums, assembly areas, public transport facilities and much more. Weatherproof construction means they are suitable for permanent mounting outdoors. This model features 20W output from four woofer drivers and a tweeter. 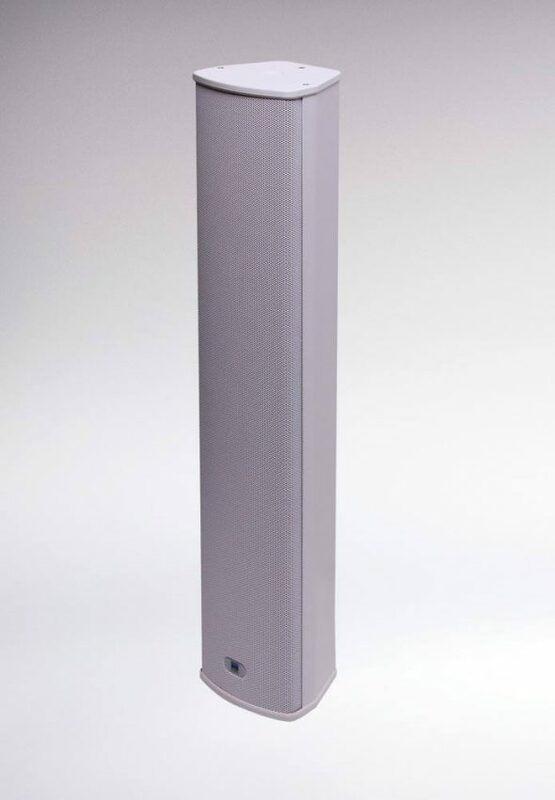 These column speakers offer unrivalled directional audio performance, making them ideally suited to sound reinforcement in auditoriums, assembly areas, public transport facilities and much more. Weatherproof construction means they are suitable for permanent mounting outdoors. This model features 40W output from eight woofer drivers and a tweeter.